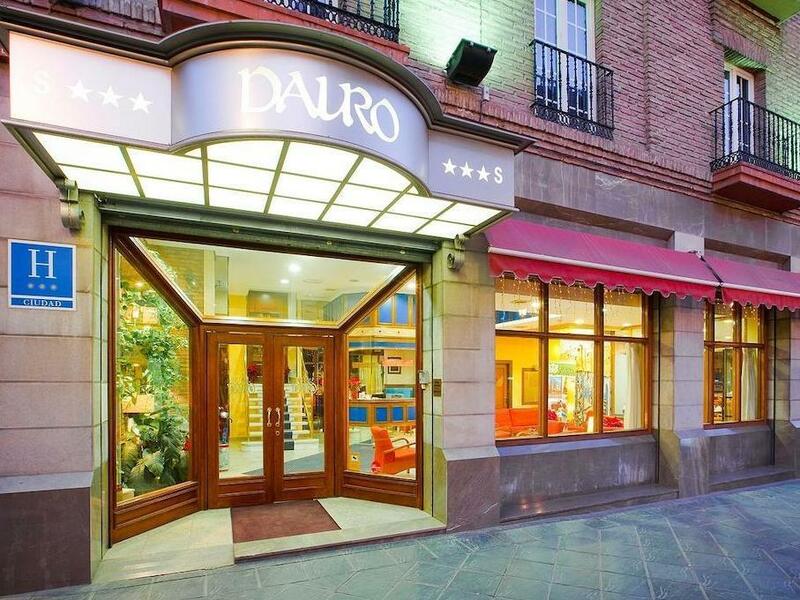 "Very helpful staff with restaurant recommendations and touri..."
Have a question for Dauro Hotel? "It was very clean and relatively close to attractions." "Excellent location, super clean, lovely lobby." This property is a popular hotel amongst regular visitors to Granada, thanks to its central location and service orientated staff. The 36 elegantly appointed rooms of the Dauro Hotel offer all the modern amenities expected from a hotel of this caliber and are complimented by the hotel's convenient location. For those arriving with their own transport, the hotel's private parking takes away that headache, and once checked in, the delights of Granada can be easily explored on foot. If business is on the agenda, the hotel's meeting rooms are well-equipped with all the high-tech audiovisual equipment needed and are available at very reasonable rates. Granada itself offers the visitor a seemingly endless choice of attractions, and for those who appreciate history, the city's ancient buildings and archeological sites will be sure to impress. "Breakfast was very nice with a range to suit all." I stayed in room 303. Pros: Good location Tastefully decorated Comfortable bed Good bathroom facilities/shower Cons: Way too noisy (you can’t open the window due to the noise from the street and I could hear other guests very clearly and loudly in the hallway and in the room next door - carpeting the hallway and rooms would significantly reduce this problem). Fiddly toaster in the downstairs restaurant. Good location almost next door to Cortez Ingles, plenty of eating choices and valet parking for €16. Very helpful staff with restaurant recommendations and tourist tips. The hotel was ideally located away from the hustle and bustle but still within walking distance. The rooms had ample space. The triple room was like 2 rooms together. The staff were very friendly and never said no. Breakfast was very nice with a range to suit all. Excellent location, super clean, lovely lobby. Cannot go wrong with this hotel. Awesome value for money. we made a reservation in rush as our plans to stay in Granada had changed. This property is not a 3 star - more like a 2 star. Outdated and needs updating. Staff was friendly. We stayed 2 nights and were out most of the time. It was very clean and relatively close to attractions. Very nice staff and I was surprised by how nice the room was compared to the price! No luxuries but it has all you need in a great location. Great location, hotel is old and corridors can be quite dark. 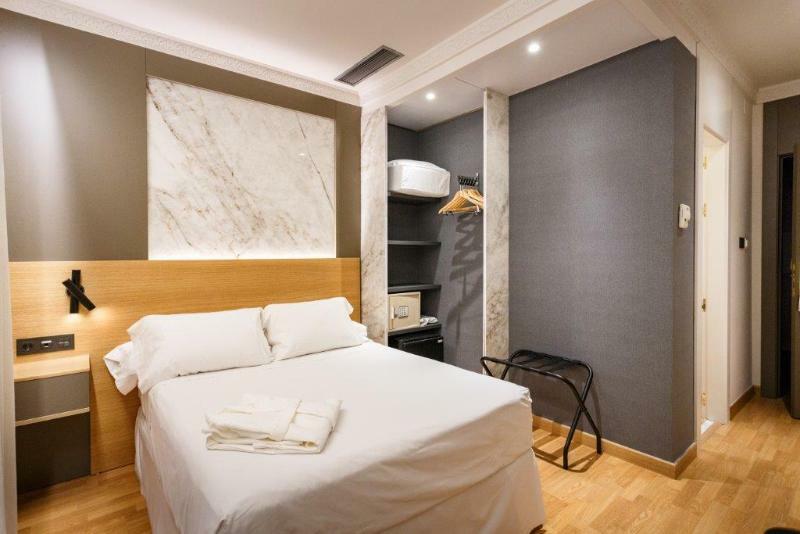 A good stay.The room was quite small but was clean and well equiped.Great location and walking distance to central Granada and the shops and restaurants. 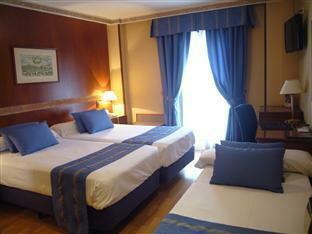 A good 3 star hotel centrally located in Granada.Clean and well equiped room. A very pleasant and comfortable stay.A/C was not always enough. Toilets are pretty old but acceptable cleanliness. Well equiped room with safe but quite small. Hotel muy bien ubicado, habitación limpia y tranquila, personal muy agradable. Sobre la Agencia Agora una estafa ya que solicite una reserva de dos habitaciones dobles y me las pasaron como dobles pero para una sola persona y cuando llegue al hotel tuve que pagar un suplemento por la otras personas. Personal amable y buena localización. Las habitaciones son algo pequeñas y justas en comodidades pero sobra para una habitación de hotel. En general muy agradable y muy bien atendida por el personal del hotel. Únicamente algo ruidoso Muy buena ubicación para acceder a los lugares de interés y cerca de zonas comerciales.